You celebrate New Year’s Eve with a champagne toast as the clock strikes midnight. But now that you’re a parent, you need to come up with creative ways to dial down your partying ways. That means replacing the midnight champagne toast with a noon New Year’s mocktail version. That is, for the kids. Instead of sticking with the same old bubbly grape juice, check out these non-alcoholic mocktails! This drink has absolutely no real champagne in it at all. Instead, mix ginger ale and white grape juice in equal parts. Dress the drink up by adding a splash of pineapple juice. Mix blue raspberry soda syrup (you only need a few teaspoons) with a fizzy lemon-lime soda. Pour the drink into a clear plastic cup, add ice and garnish with gummy fish or sharks. Mix a mango puree with orange juice, white grape juice and a hint of lime juice. Serve the drink over crushed ice and garnish with sliced fruit wedges. 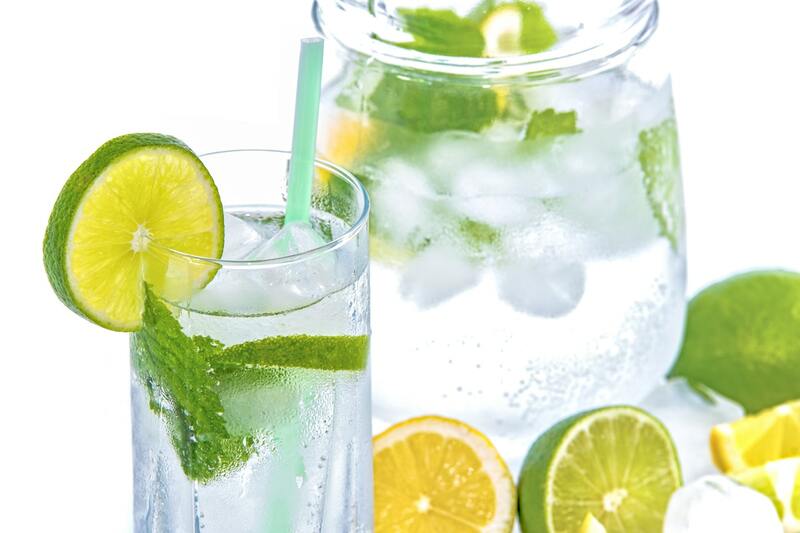 Add freshly-squeezed lime juice to sparkling water. Mix in another juice that your child chooses. This can include a splash of cranberry, cherry or any other fruity option. Serve with ice, adding flavored sugar to the rim of the cup.